I was recently asked to forward an email I had received to someone else. I couldn’t remember the exact title of the message that I wanted, so I spent a few minutes searching and scrolling. Fortunately, I only had a couple dozen messages in my inbox. I’ve seen people scroll through thousands of messages in a desperate hunt for that one phone number, street address or appointment confirmation. It’s agonizing. Why do we do that to ourselves? An interesting thing about email is that, for many, it’s both a delivery system and a storage facility. When we “check email,” we often open our email software, browse the many messages contained therein, and then quit the application without removing any of the messages. Consider the paper mail that reaches your mailbox: you don’t open the box, sort through the envelopes and then close it back up again, leaving everything inside. Nor do you return from the grocery store and leave brimming bags on the kitchen counter. Yet, email is often ignored in this way, to our detriment. 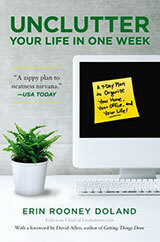 It’s an adaptation of David Allen’s Getting Things Done method for processing email, which is a highly formalized system of productivity improvement. You can read David’s book (and I recommend that you do), but you needn’t follow his instructions in full to reap huge benefits. Here’s a simplified adaptation that I use for managing email. Before we begin exploring the how, let’s define the when. The good news about email access is also the bad news: it’s nearly ubiquitous. 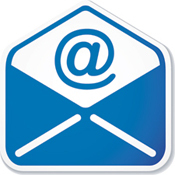 You can send and receive email at various points of the day. For those of us with connected smartphones, email is almost available during every waking moment of our day. As such, it’s easy to succumb to the temptation to check it whenever the opportunity arises. Instead, tame that tendency by defining email time. I like to check email at 8:00 AM, 12:00 noon and 5:00 PM. This has several benefits. First, it familiarizes others with my communication schedule. It also helps me stay focused when I do sit down to work through email. Finally, it alleviates the guilt of not checking during off hours. Define a time to sit down with your computer, smart phone, or tablet and work with your email. All set? Now, let’s begin. That’s it. Every message you ever receive will fall into these three categories. Now that you’ve identified what each message is, proceed to step two. The first one is simple: garbage. As soon as you see it, delete it. Spam, advertising you aren’t interested in, messages from old mailing lists you’ve lost interest in, etc. It’s all trash, so trash it. Immediately. The final category is reference material. These messages do not require action, but they do hold information that could be useful someday. Identify what that information is, store it in the appropriate place and then delete the email. Yes, delete it. On to step three. It can be anything you want. You might choose a paper notebook — I carry one around for jotting a daily task list. There’s lots of software available, from simple to involved, which you can use for this purpose. My choice is Evernote, because it’s simple to use, powerful, cross-platform (Mac, Windows, web browsers and an increasing number of mobile devices are supported) and above all, reliable. Evernote works by creating virtual Notebooks, each of which can contain several notes. Notes and notebooks can be sorted, categorized and organized to your heart’s content, and online sync keeps them up-to-date across all you devices. So, if you create a note on your computer, it will show up on your phone or iPad without you having to do a thing. Evernote is fantastic for storing reference material, or what I call “cold storage.” Receipts from online purchases, how-to’s, restaurant menus, theatre schedules, the kids’ sporting information, contracts and more. Once you have the pertinent information in a reliable system you trust, you can delete the email message. As for action items, how you handle these is up to you. Evernote will create an action list, if you decide to use it. You can also create a list in a notebook or task-oriented software like Remember The Milk, Teux Deux or even Omnifocus if you want to go hard-core. Decide what must be done (trash, define a task or place in cold storage). Things to do with cable ties beyond binding cables. Salt and pepper shakers — irrespective of shape or style — are high utility multitasking objects. They store the spices and they also dispense the spices. In most climates, you can leave them out on the table full time and not have to worry about them unless they run low on spices. Then, you fill them back up, and back onto the table the salt and pepper shakers go, ready to meet all your salt and pepper needs. 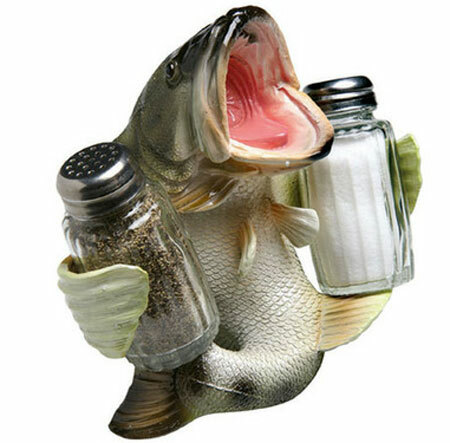 Unless you live on a houseboat and your home is constantly rocking from side-to-side, I cannot think of a need for a salt and pepper shaker holder. And, these holders can’t be screwed into a wall or table top, so they wouldn’t even be that helpful on a rocking houseboat. I also see utility in larger condiment caddies that make for easy transport for outdoor dining or even storing an array of condiments between meals in the refrigerator. But a holder just for salt and pepper shakers? I don’t get it. Long weekends are great for catching up on things you’ve been meaning to do or simply doing nothing at all. Over the three-day-weekend, you probably spent more time with your spouse, partner, roommate, or kids. During that time, you may have also become intensely aware that he/she/they don’t exactly do things the way you do. You may have even started plotting ways to get them to change, to become a bit more orderly. There will be less work to do. If we’re putting in the same effort in keeping our home clean and organized, that means neither of us are burdened by the majority of work to be done. We’ll find things quickly and easily. I get giddy thinking of all the time we’ll save looking for things because we’ll put things back when we’re finished using them. We would eliminate the dreaded scavenger hunt for important items and documents. We’ll be happier. People are usually happier when there’s less work to do. We’ll be ecstatic when we realize all the time we’ve saved can be used to do fun and relaxing things. We will actually do those fun, relaxing things. I know that if I talk with my husband about these three reasons, he will agree with me. He might even try harder to do things my way. And, he will probably revert to what he’s comfortable doing. I know you can’t make someone be an unclutterer if he doesn’t want to be an unclutterer. He will let me handle the organization of our home. But, that’s okay. I don’t want him to be me AND we can still have a (mostly) organized home even if he doesn’t 100 percent change his ways. Respect our differences. His way isn’t wrong, it’s simply not my way. Life would be ridiculously boring if the two of us were exactly the same. It’s good to remember that he possess other qualities I don’t, and we complement each other in different ways. 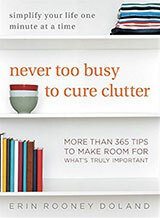 Take the lead on keeping our home organized. Being organized is more important to me, so it makes sense for these responsibilities to lie predominantly in my camp. It’s not that he doesn’t care, he just doesn’t see things the way I do. Ask for help. This means no nagging is allowed on my part, and my husband knows he’ll be called upon to handle his share of the non-organizing household chores. Agree on simple house rules that match our skills. I will primarily be responsible for keeping our home organized, in particular the common areas (e.g., living room, kitchen, and dining room). He’ll be in charge of cleaning the bathrooms. This is not my favorite thing to do, but it doesn’t bother him at all (thank goodness). I’ll take care of making sure the towels are clean and the soap dispenser is filled. He’ll be in charge of cooking and I’ll clean up. I can hold my own in the kitchen, but he’s a great cook and I love whatever he whips up. Since I’m the queen of clean, this trade off works well for both of us. I’ll take care of simple household repairs when possible. If it’s not something I can take care of easily, I will hand it off to my husband or call a professional tradesperson. We won’t be able to avoid getting frustrated with each other at times, but this plan is easy to follow. Would I like him to do more? I think we all dream of having a butler and maid, but my husband is not either (and neither am I). Can our home be comfortable and organized with the the current division of labor? Yes. We’ve reached our happy medium. It might not work for everyone, but if you’re in a similar situation, talk with the other people who live in your home and come up with ground rules that work for you. I know very little about the world of being a DJ or a recording engineer or pretty much anything to do with digitally altering sounds, but Geekah does and she has an office full of equipment to make it all happen. I really like how her speaker stands match the top of the desk and appear to be part of the structural piece. The iPad stand is streamlined stunning and the earphones even have a place to live when not in use. Even the wall art reflects what happens in this space. I love the cable management, the primarily black and white color palette, and the ability to have a lot of equipment in a small space without looking cluttered or clausterphobic. Thank you, Geekah, for sharing your workspace with us. It’s an inspiring room. 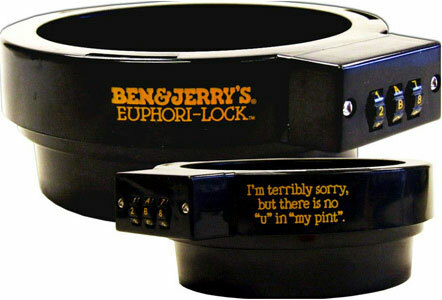 This alpha-numeric lock wraps around the lid of your Ben and Jerry’s pint of ice cream. It does not work on other brands of ice cream, unless they happen to be identical in shape to the Ben and Jerry’s container. Also, IT’S A LOCK FOR YOUR ICE CREAM! It’s a dessert made of milk and sugar, it is NOT nuclear missile codes or uncut diamonds! I’m starting to believe that I live in a completely different world than product inventors. In their reality, gnomes are probably living creatures and plastic must grow on trees. Thanks to reader Hennings for sharing this unitasker with us. There are many things I want to do and I’ve been known to multitask (as recently as last week!). When time seems elusive, it can be easy to get caught in the trap of doing too many things at once. Fortunately, I have a simple, three step process that helps me focus on one thing at a time and to be more realistic about how much I can actually accomplish. One of the reasons this process works for me is because I enjoy writing to-do lists, and I usually get more done when I hand write them. I like apps like Toodledo (especially since I can set reminders), but I love crossing tasks off on a paper list. Like Erin, sometimes I put things I’ve already done on my list just so I can put a line through them. Now that I have spring cleaning on my mind, I’ve created a list for my latest project: organizing the outside of my home. As a new mom, I put more effort in (trying to) keep the inside of my home organized, and there are times that I forget about the outdoor chores. But, now that this is back on my radar, I took a look inside our shed. It has been a bit neglected because we were so focused on the impending arrival of a certain little person. Needless to say, it needs some attention. As I looked around the yard, I also noticed a few other things that were crying out for a some tender loving care. Things I think are important (i.e., need fixing and will make me happy). The amont of time it will take for me to complete them. Whenever I make a list, I include the top three things needed to complete each task. When I complete a step, I cross it off and move on to the next one until all tasks have been taken care of. I have also used “One Thing” notepads by PrettyBitter.com. I intend to finish all tasks by the end of June. I find that when I have a deadline, the likelihood of finishing my project is high. Without one, I can turn into a waffler. I will work in 15-30 minute time blocks three days every week. I would like to work my plan every day, but I doubt I’d be successful at that. Short organizing sessions will give me enough time to get some chores done and still let me do other (unrelated) things. I will pick one thing to focus on each day. By focusing on one item, I can keep feelings of overwhelm at bay. I will ask for help. When there’s a second person, 15-30 minutes will double, I’d probably get more done, and finish my chores sooner. I will think of a nice reward when my project is complete. I get little bursts of joy each time I cross something off my list, and I get the personal satisfaction of actually finishing what I set out to do. But, when I choose a fabulous way to pat myself on the back, that helps me get through my list because I have something amazing to look forward to. I think a manicure and a massage are in my near future. If your ear of corn is too big or too small, the blade on the Corn Kerneler doesn’t work because it isn’t adjustable. If you can’t identify where you are going (the reasons you want to unclutter and improve your productivity) and stay focused on that goal, you will struggle greatly with your uncluttering efforts. Thankfully, Ellen Galinsky, author of the book Mind in the Making reports that these skills can be learned and improved. If you are looking to clean anything in your home, check out How To Clean Stuff for solid directions.